New restaurants are constantly popping up in the Woodlands…it seems impossible to try them all! Luckily, we’ve made a list of some new ones you can’t pass up. This family friendly spot established its name in Houston, Texas, opening its second location in Shenandoah in 2018. A casual spot with great eats for every pallet, Mia’s Table is known for their exceptional service, plentiful portions, and flavor-filled recipes. You’ve got to try the banana pudding! Herb & Beet opened it’s very first location last year in the Woodlands. They’re unique in the quality of their ingredients, keeping everything “Farm-Fresh” in the kitchen. Their recipes are inspired by local Texas classics, with a lot of their main dishes offering your choice of a “homemade protein” paired with their suggestion of greens, spreads, and sides. Between varieties of mac & cheese and delicious twists on barbecue classics, you’re sure to leave with a wide smile and a full stomach. Tapped now has 2 locations, one in Conroe near the new Xscape movie theater, as well as in Spring. Whichever location is closest to you, visit this craft beer bar and restaurant as soon as you get the chance! They have 50 different brews on tap, and even a wine menu for anyone that might not be a beer-drinker. Don’t worry – the food is just as good as the drink. There’s a wide variety of appetizers, pastas, pizzas, and even wings. They’re even pet friendly! For something on the fancier side, TRIS is a perfect pick for a night out. They feature 4 menus: lunch, happy hour, dinner, and even a “Chef Tasting Menu” if you’re looking for a real treat (we’re talking 8 courses prepared in front of you by the chef himself, kind of treat). Their bar serves one-of-a-kind cocktails, rare wines and craft beer. 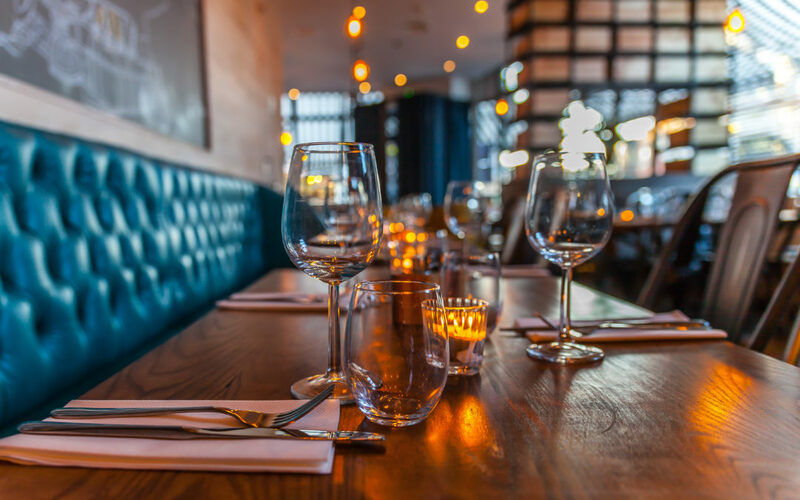 No matter what your occasion may be, you can rest assured that your time at TRIS will consist of gourmet food and drink and the highest level of service. Another fresh and healthy option on this list, True Food Kitchen focuses not only the quality of their ingredients and menu selections, but also on presentation and flavor. Even more specifically, they abide by an “anti-inflammatory pyramid”, with a goal to serve their guests food that promotes a long and healthy lifestyle. With gluten-free, vegetarian and vegan options, everyone will find something they love at True Food. Their menu fluctuates, displaying flavors from all the seasons, so make sure to go often and bring an open mind.